“Less is more” seem to be the words everyone seem to live by when it comes to describing the latest bridal trend. Silk slips from the kinds of Olivia Von Halle and Gabriela Hearst and modern classic from bridal favorites of Emilia Wickstead and Roksanda are favoured over chiffon layering and meringue moments. These simple wedding dresses are the minimalist approach everyone is choosing over the good ol’ wedding dresses. 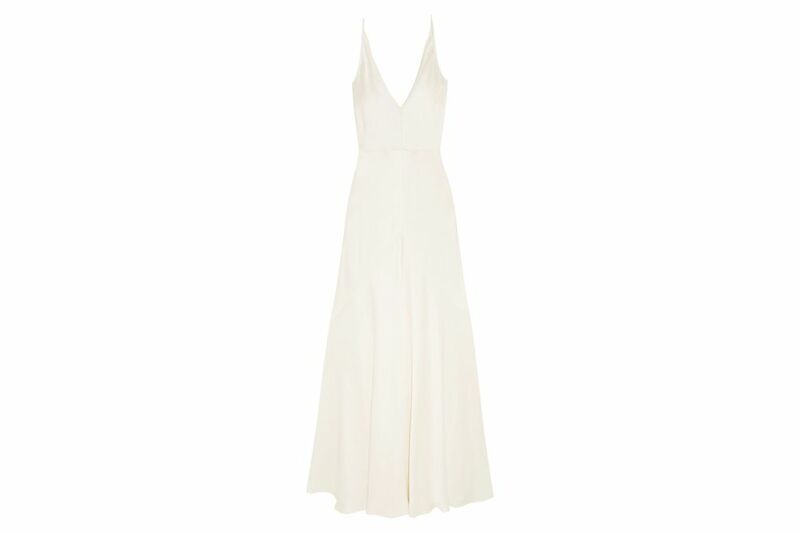 Slip dress, £2594 at Net-a-porter.com. Looking for ultra-simple look for the special day. Here is your best bet. We love the neckline and if you have and hourglass figure you can rock this with confidence. We would love it if you wear this to your dream garden wedding. 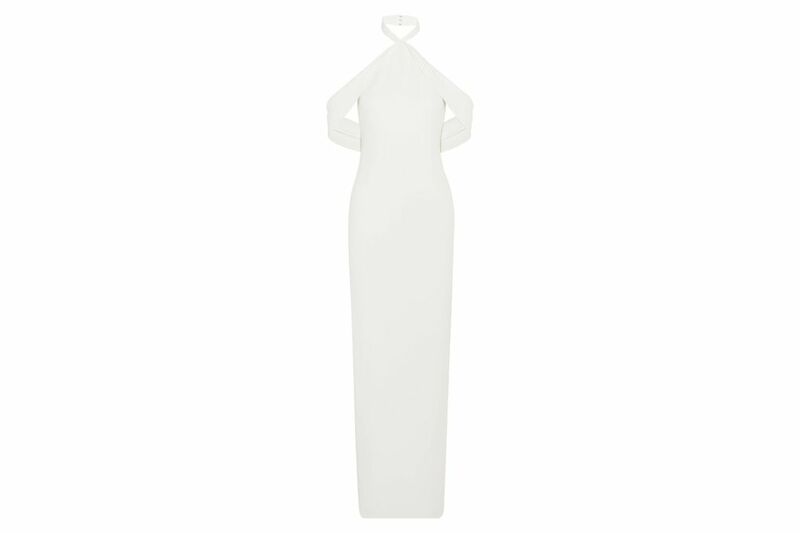 Midi dress, £575 at Net-a-porter.com. Trying to keep it in the elegant side and have a little vintage vibe? This should suffice. We love how the sleeves accentuate the upper body. This is ideal for a church wedding and for those looking for an affordable yet dashingly beautiful bridal dress. Plus you can even use this dress to dress up the bridesmaids. 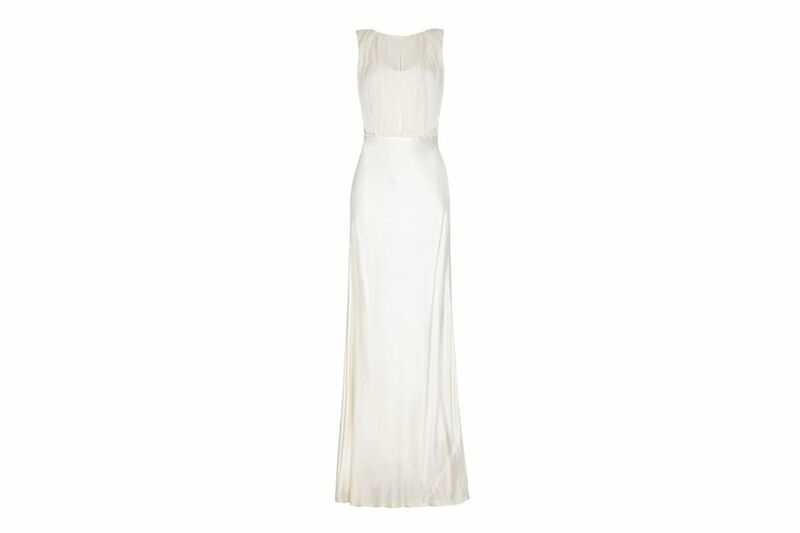 Satin dress, £225 at Ghost.co.uk. This is exclusively for the satin lovers. Those include us too. We love how the satin elegantly hang down the body accentuating the curves. Ideal for the conventional bride look the satin might just define your day. The best part is this will not only make you look extremely good on your special day but it would also look good on your wedding budget. 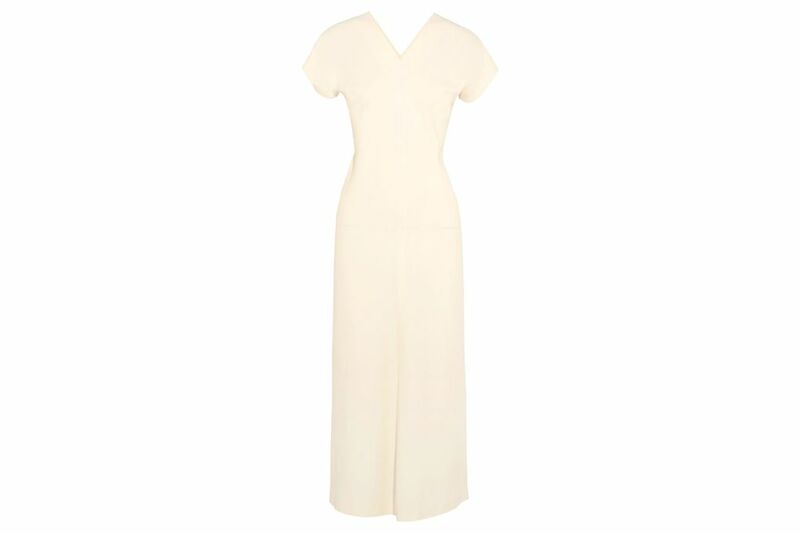 Halter-neck dress, £4110 at Net-a-porter.com. If you are ready to take a fashion risk and go ahead with this, try this with a modern wedding plan too. We like this on a beach wedding under a flowery altar. Pair this up with even a pair of sandals.